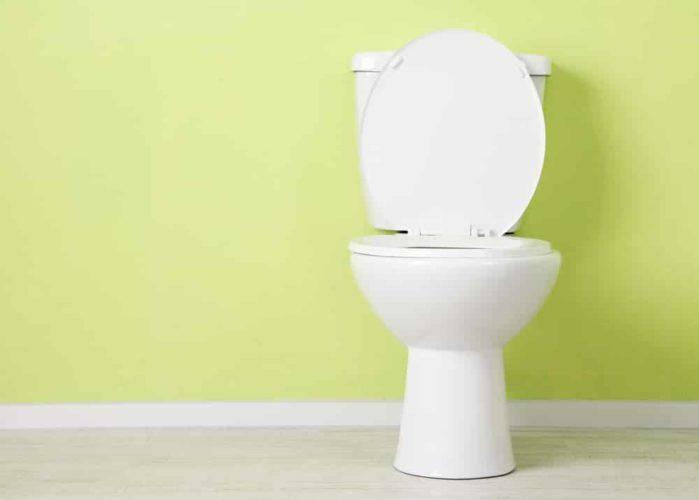 Painting your toilet is a part of the regular maintenance procedures that you should do. It ensures the appeal, design, and functionality of the most "comfortable" part of your house. However, this task is quite tricky, especially if things are already in their place. Learning how to paint behind toilet tank is necessary, especially if you are a self-confessed DIYer. This particular part of your bathroom is challenging to reach, especially the region that is in the tank. Some people think doing this part is not necessary anymore. After all, nobody can see them, right? Well, it is a correct thing to some extent. However, leaving one part unpainted is an indicator of a rushed or amateur output. Moreover, the unpainted part is susceptible to damages and dirt, too. If you want to avoid such nuisances, you have to make sure that everything works correctly. There are two options that you can take here. First, you can call for professional help. Second, you can do this task by yourself. If you take the alternative route, then we are here to help you out. Fortunately, this process is not as complicated as it appears to be. As long as you have the right tools and mindset, you can accomplish this ordeal in a breeze! You can implement various approaches in doing this project. You can be innovative, or you can do it the hard way. All of these methods will work just fine. It is up to you to decide which one do you think can suit well your setup. 1. Use the double sticking tape to connect the pad and stir stick. Make sure that the connection is snugly enough it doesn't get severed even you exert too much force. 2. After affixing the pad and stir stick, you already have a thin and manoeuvrable paint brush. That is a customised brush that you can't find at your local paint shops. However, it still efficient and doesn't cost much. We have seen some professional contractors crafted this type of ingenious tool during their painting projects. 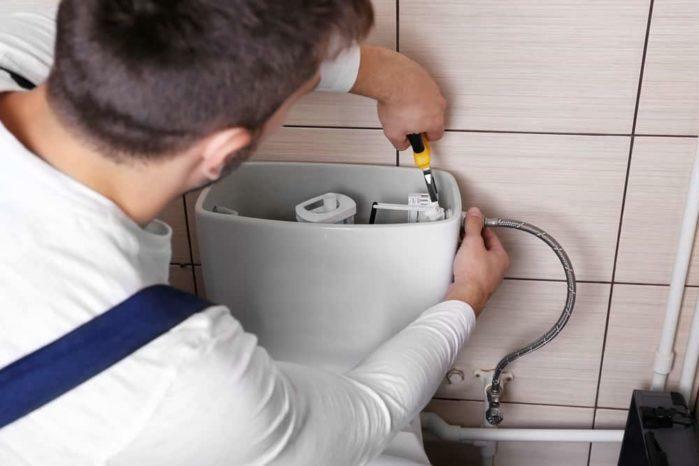 Make sure that you clean the back portion of the toilet tank first. You can do this by using a stirring stick with a rag attached to it. We all know that a clean surface is easier and smoother to paint. You must enclose the tank with the use of plastic or garbage bag. Tape the bag tightly until there are no visible seams that you will notice. In this way, you can freely paint the wall behind without bumping or touching the tank! It is logical that for you to paint the region behind the toilet bowl, you have to remove the tank first. It is a reliable approach that will give you the best finish and results. 1. The first thing that you need to do is to shut down the water supply. 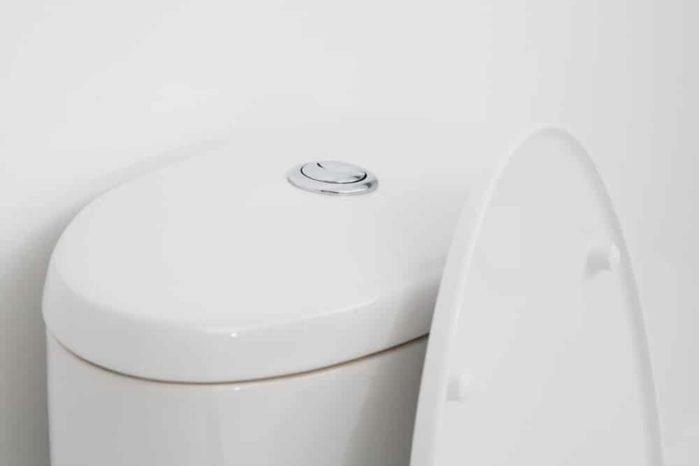 If your toilet bowl has a water valve, things are a lot easier for you. Just shut it off, and you are ready to go. If this component is not present, you can disconnect the water flow through the water meter. If this is still not available, just look for the main water valve in your house. Test things out. Try flushing the toilet. If there is no water coming out, then you are ready to proceed. 2. Before you remove the tank, take out the remaining water inside. You can do this by pressing the lever in the toilet bowl. Hold it as long as you can until the water inside the tank will drain completely. If there is remaining water, you can take it out with the help of a vacuum. If this tool is not available, you can use a rag or towel to absorb the water residues. It is a tiring process, but you have to do it to ensure the success of the project! 3. When things are all clear, look for the bolts that connect the bowl to the tank. Remove them by the use of a flathead screwdriver and crescent wrench. Unscrew the bolts one by one until the bolts spit out the nuts. You have to remember that you must not loosen a screw while the remaining ones are still tight. That would result in the cracking of the tank. Instead, you should switch bolt to bolt, loosening them partially one by one. Lift the tank from the bowl. Place it in a location that is secured and far from your area of work. 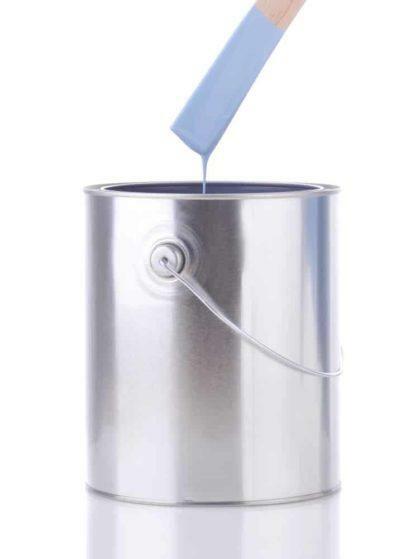 Before you start painting, you might want to cover the bowl with a large garbage bag. It will protect your beautiful bowl from accidental spills and splatters. 4. After the painting process, you can already reinstall the tank. Ensure that the sponge gasket on the bottom part of the reservoir is still present and in place. If not, then reposition it accordingly. Otherwise, leaks can happen. 5. When tightening the bolts, you need to follow the same approach as you did in removing them. Tighten them partially one by one. Switch from one bolt to another until such time they are snug already. Of course, do not overdo the tightening. Otherwise, it will crack the tank. 6. Lastly, connect back the water supply to the valve. Slowly return the water to the tank. Make sure that there are no leakages by flushing the bowl. If there are no water drops on the area where the bowl and tank meets, then you did things properly! Knowing the process of how to paint behind toilet tank is quite essential. You might not need it today, but it is inevitable that future renovations that will require you to do so. When that time comes, you can prove that these simple approaches we mentioned are undoubtedly helpful!